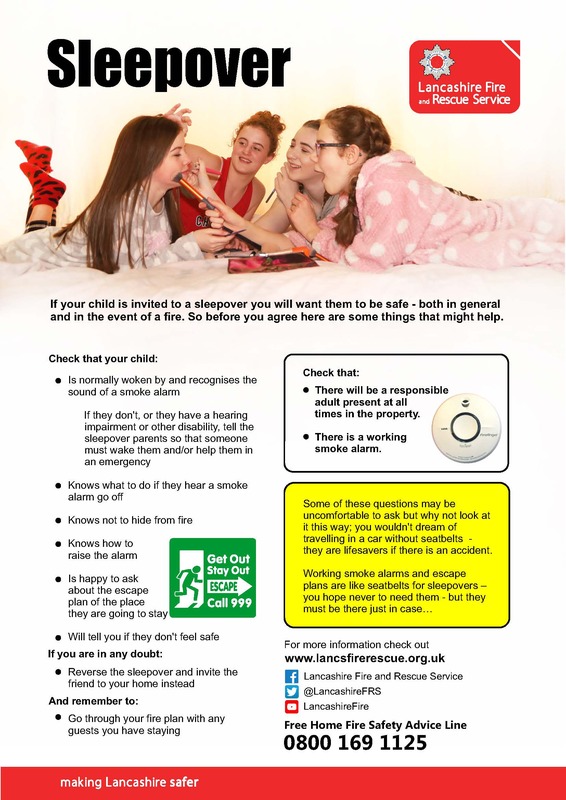 For more information on how your children can stay safe from fire if they are sleeping at a friend’s house, click here. 500 children under the age of 11 are injured and 11 are killed in fires in England every year. Teach your children and friends the sound of the smoke alarm and tell them what they should do if they hear it. Keep matches, lighters and lit candles out of the reach of children. Children shouldn’t be left alone in rooms where there is a fire risk. If there are children, older or disabled people and guests, plan how you will get them out. If you have a fire, get out, stay out and call 999.